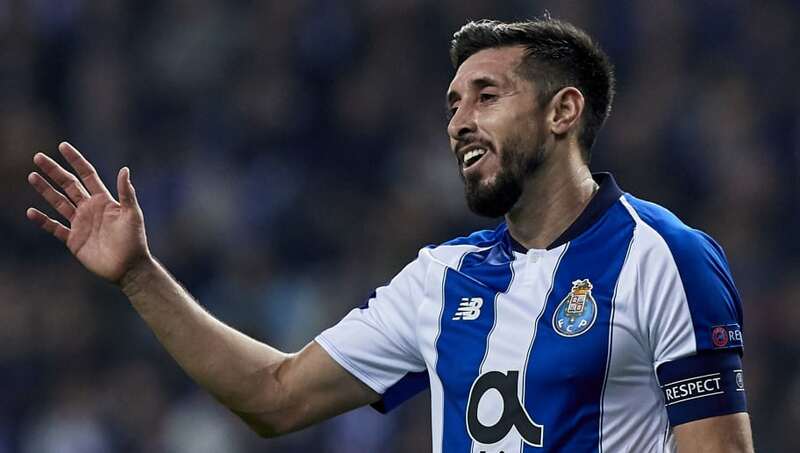 ​Tottenham are set to face stern competition this summer from Serie A duo Milan and Inter to sign Porto midfielder Hector Herrera. The Mexican's contract is set to expire in the summer however, as a number of clubs across Europe are poised to take advantage of the situation, with ​Tottenham being one of them, according to A Bola, via ​Sport Witne​ss. The media outlet claims that Mauricio Pochettino's side could make a move for the all-action midfielder, who could be drafted in a replacement for Mousa Dembele, who left in January to join Chinese Super League side Guangzhou R&F. Spurs however are set to be rivalled for Herrera's signature by both ​Milan and Inter, according to ​Corrie dello Sport. Although, it's the Rossoneri who are believed to hold the stronger interest in the midfielder. According to the Italian outlet, Herrera represents a quality, and cheap, addition to Gennaro Gattuso's side ahead of next season, as they look to comply with Financial Fair Play regulations. Herrera does offer a wealth of experience both during his time with FC Porto, where he's won the Portuguese league and Super Cup, as well as with the Mexican national team, earning 70 caps since his debut in 2012, while playing every game for his country during the 2014 and 2018 World Cup. Milan do have midfield targets other than Herrera this summer, with Chelsea loanee Tiemoue Bakayoko another option for Milan, with ​the Frenchman claiming a permanent move to the Serie A side would be a 'dream'.